We know how important flooring is when it comes to the transportation industry, which is why we offer our full range of services to take your transportation business to the next level. While other flooring companies are simply attempting to make a profit off their clients, we here at Sealwell care about your business. That’s why we go above and beyond expectations on every transportation flooring project we take on. We’ve perfected our flooring systems to provide our clients with the results they not expect, but deserve. Sealwell’s flooring systems are designed for extremely heavy use and wear and tear, making them ideal for businesses in the transportation industry. 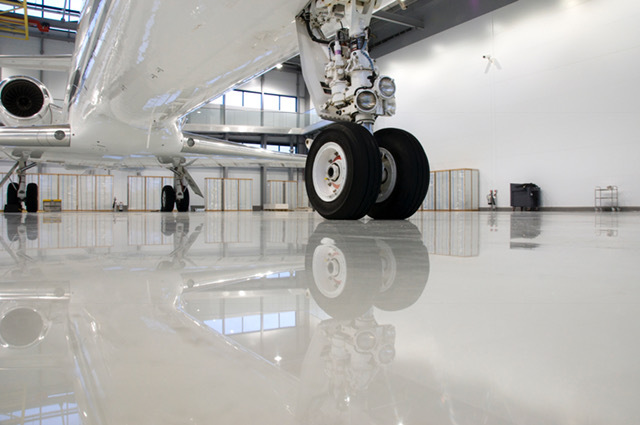 Whether it be an airplane hangar or something else, we have the flooring solution for it. Having the right flooring solutions is extremely important when it comes to airplane hangars. Sealwell’s custom flooring systems are ideal for due to the massive usage they are able to withstand. Massive planes constantly taxiing can and will destroy the floor if not maintained properly. There’s also the constant worry of spills that can additionally damage the floor. 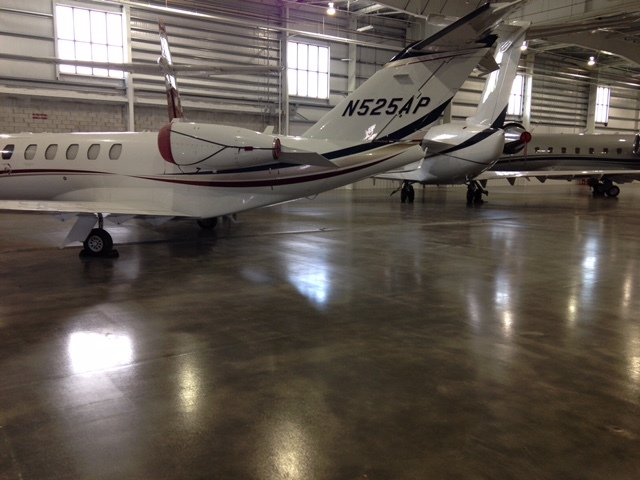 Thankfully, we have the proper solutions to avoid replacing your hangar floor every year. Our epoxy floors are designed to be very durable, able to handle even the heaviest of loads. With an additional polyurethane coating, our flooring system becomes scratch resistant as well as resistant to any spills that may have damaged it before. 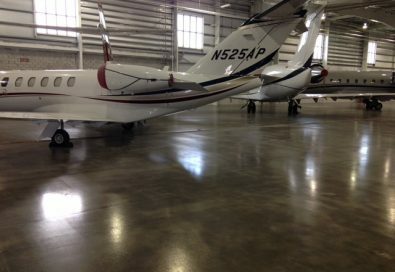 With Sealwell, your airplane hangar floor will last far longer than ever before. Sealwell provides the number one flooring options for mechanic shops and machine shops. Our floors are chemical and grease resistant, while also being touch enough to handle the day in and day out impacts one can expect from a mechanic shop. Car dealerships want nothing more than to provide a clean, professional environment when trying to sell their vehicles. 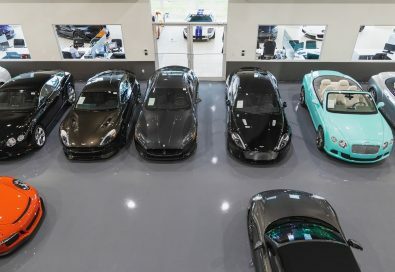 We can help your dealership achieve that goal with our seamless epoxy flooring solutions. As your dealership will face a large volume of traffic from people and moving vehicles in and out of the show floor, your floor will naturally get dirty. With a Sealwell installed flooring system, you’ll save an insurmountable amount of money in janitorial fees. Thanks to its glossy finish, potential customers will fall in love with your vehicle as soon as they get to see its reflection shine off the floor in front of it. To learn more about Sealwell’s high-grade transportation flooring solutions, contact us today!